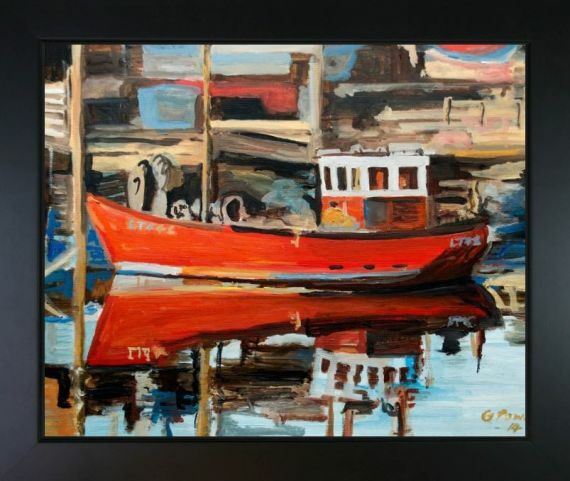 Let the bold colors and inspiring scenery wash over you every time you gaze upon this canvas print of Gordon Powles' "Boat Reflection." This stunning work of art was created by one of the United Kingdom's most promising artists. After studying at the Camberwell College of Arts, Powles decided to embark upon his career by employing modern technology to create captivating digital artwork with a painterly quality. 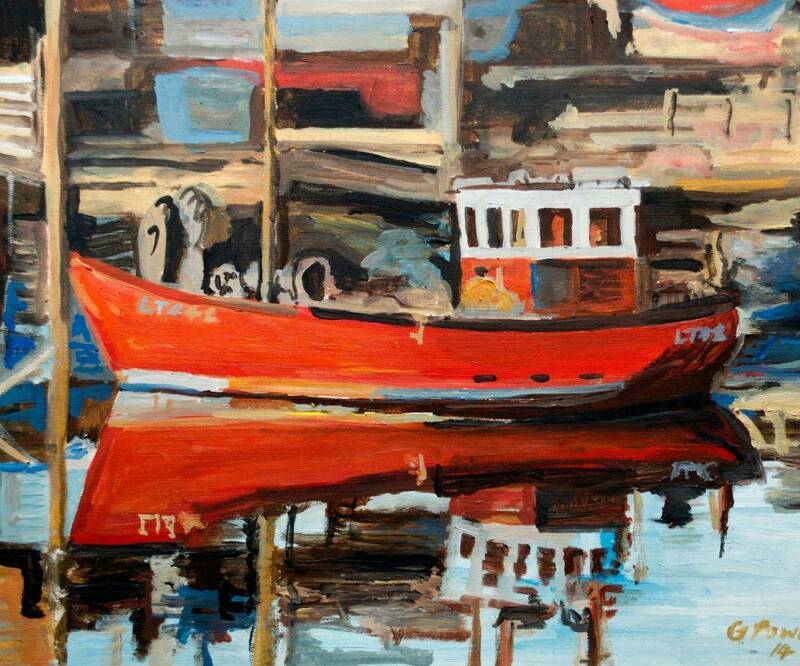 Using a combination of photographs, drawing and digital software, Powles creates beautiful coastal scenes which have a contemporary quality while also evoking the Impressionist works of the late 19th century. 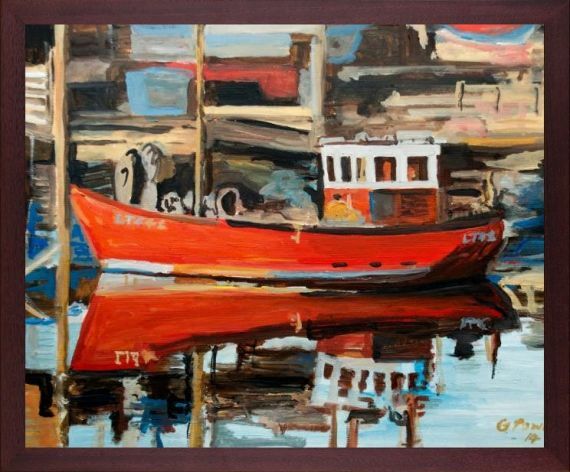 His use of bold, brilliant tones make this piece of artwork eye-catching in any space. 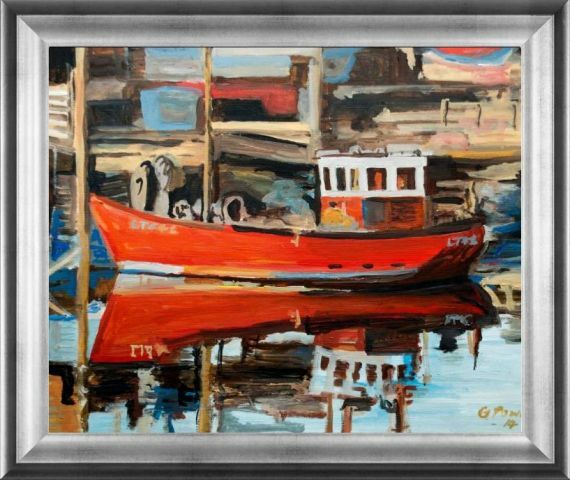 This canvas print of "Boat Reflection" by Gordon Powles is part of our growing Artist Become collection at overstockArt. 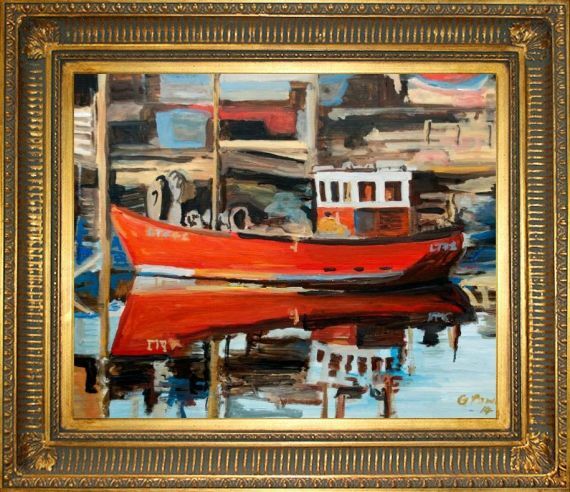 Choose this print to bring the innovative spirit of one of today's finest artists into your own home. 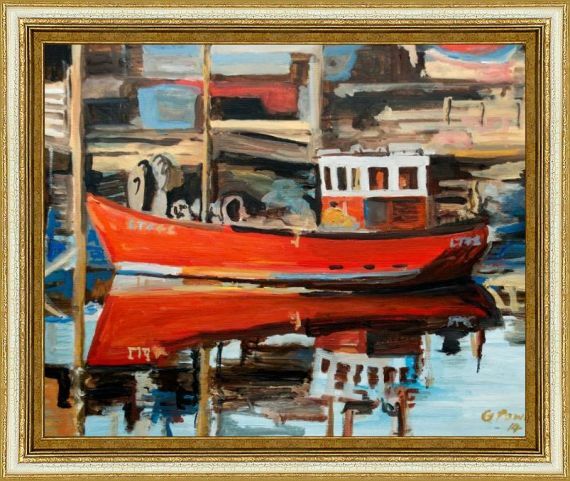 Color Palette for Boat Reflection is empty.